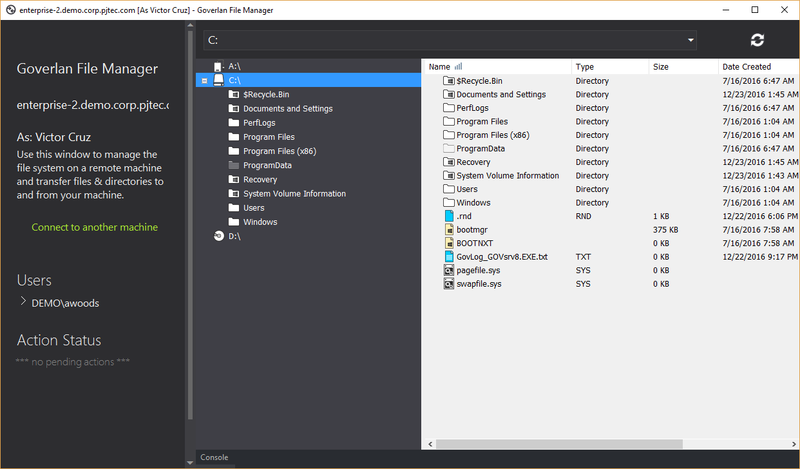 The Goverlan File Manager is a tool available part of the remote control and the remote access software. It enables console operators to view, send and receive files from the remote file system with the Goverlan File Manager. Go to the Tools tab in the Command Bar and click the File Manager button. 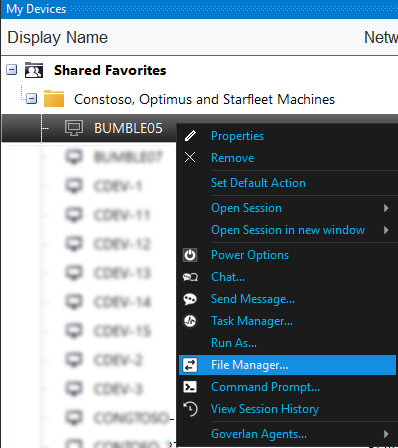 Right-click any computer in your Favorites list and select File Manager. While focused on a computer object. Use the main browser window to view the remote file system. Navigate folders and drives with the tree view or via the navigation bar. To send the file to the remote file system, simply drag and drop files into the browser window. 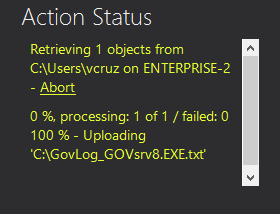 All file transfers will include a status of the operation. A detailed status is available when the transfer is complete. The file manager will display each user account that is logged in to the system. Switch to the desired user to see the of their mapped drives.